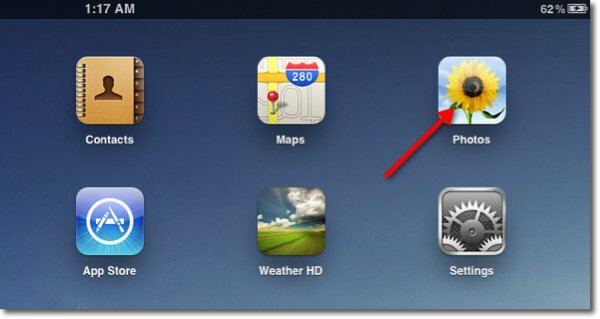 Having trouble adding multiple photos to an email from your Apple iPhone or iPad? Turns out the trick is to think different. The key to emailing multiple photos with iOS is to reverse your thinking. Instead of starting with composing a new email, start by opening the Photos app. Tap the arrow icon in the upper right corner. This will enter the select photos mode, which will make it possible to share them. Tap on all of the photos you’d like to send in an email. On the left side of screen, Tap Share >> Email. 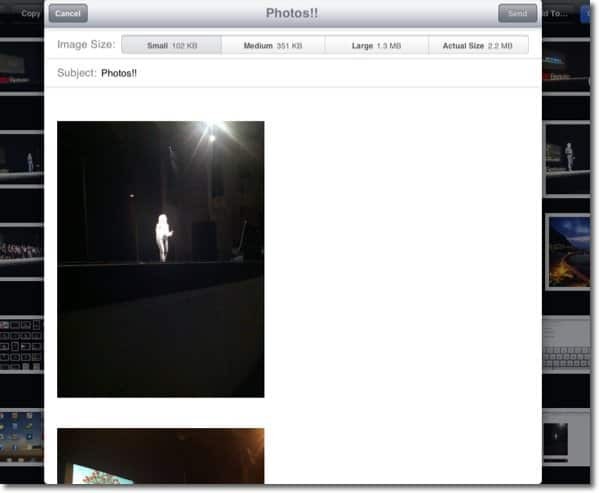 A compose email window containing your selected photos will appear within the Photos app. Now compose your email just as you would from the Mail app. You also can choose the size of the photos being sent: Actual size, Large, Medium or Small. That’s it! 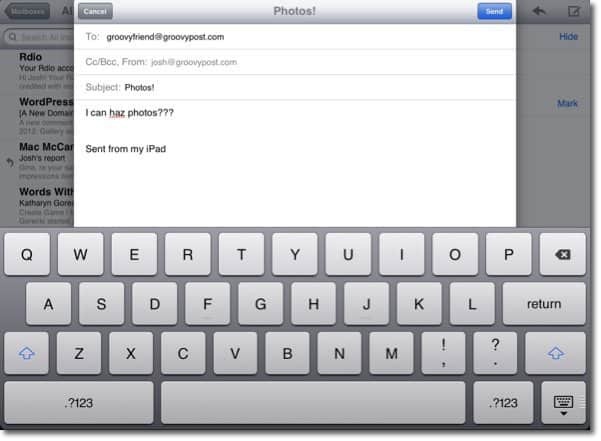 You should now be able to send multiple photos through email on your iOS device. Thanks for posting this – I can’t believe I actually had to Google that to figure it out. Actually, I tried this and it didn’t work until I started experimenting. Apparently, if you select more than 5 photos, the “Email” option isn’t available for some strange reason! I tried it but couldn’t make it work on my ipad mini. When I tap on photos as you suggested, I don’t get the little arrow in the top right, all I get is edit??? ?